KTM is expected to launch the extremely anticipated new Duke family in India tomorrow, February 23, 2017. OVERDRIVE was the first magazine to bring the full details on the all-new 2017 KTM 390 Duke, which is expected to lead the Chakan-made Duke family. Now, our sources say that the rest of the range is not about the updated 200 Duke as we expected. 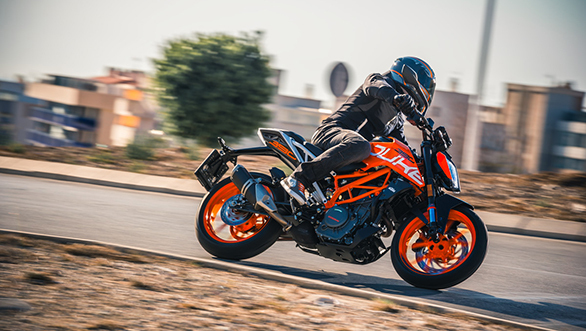 KTM India will expand the range to include the 250 Duke - a motorcycle it was already making for certain markets where the 250cc displacement has regulation-related pricing advantages. KTM will also keep the old design of the KTM 200 Duke, albeit with new stickering to allow the KTM Duke range to span upwards in both price and options. The internet has been abuzz with the details of the KTM 250 Duke coming but we are pretty sure that we have the full story. And it isn't over. We also believe that in an extremely appreciated move, KTM India will make ABS standard on all the motorcycles at launch. Now, let's dive deeper. 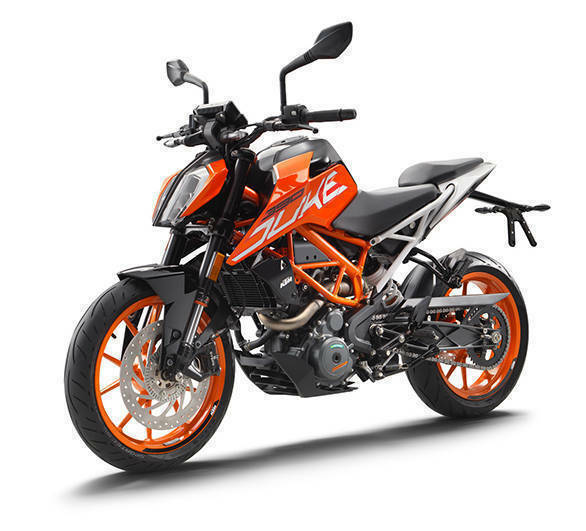 The KTM 390 Duke will continue to be the biggest of the Dukes - Bajaj and KTM India are still not very happy to do either CKDs or CBUs for the Indian market. Indeed, Rajiv Bajaj commented at the 2017 RC390 launch that he intended to not sell anything [KTM-branded] that he, "couldn't make at Chakan." Back to the 390 and the KTM Duke is all-new for 2017. The basic chassis is very similar but the Duke will get bigger, all-new ABS brakes, split-function 43mm upside-down WP split forks, all-new rear monoshock and we expect, the H-rated Metzeler M5 Interact tyres. In our experience, the lower speed rating makes no difference to the performance of the tyres while the new brakes are excellent. Also new, and notably more premium, will be a handful of aggregates including adjustable levers and what have you. The engine remains a 373cc unit that makes 43.5PS as before. However, like the RC390, this will get ride-by-wire for greater accuracy - vital because this is a Euro IV engine. That also means, unfortunately, 7kg more weight and a side-slung exhaust. But KTM officials told OVERDRIVE that the new KTM will be vastly more refined than the current one and will have as much as 3Nm more torque at some places on the torque curve which will make a huge difference to the rideability of the machine. 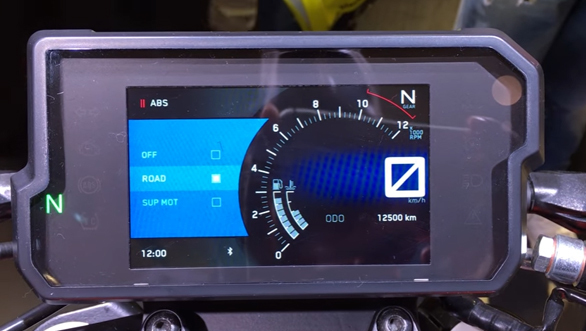 The most talked about feature in the buzz that followed the Milan show was the new full colour TFT screen that replaces the instrument panel of the outgoing KTM 390 Duke. The new panel shows all the data in bright, attractive colours, while an optional module - not sure how KTM India intends to deploy this - will allow you to pair your smartphone and gain phone and music player controls. All of this is wrapped up in completely new, and rather fetching, bodywork inspired by the KTM Superduke 1290. But even in there are important changes. So the headlight is a new all-LED unit which we know from the Dominar experience should be superb. The tank extensions run forward but not outward and they combine with the new seat to offer a remarkably more spacious perch as space was at a premium on the outgoing KTM design. Also note that the new steel tank is a 13-litre unit which should solve one of the issues we have taking the KTM 390 Duke out on the highways - all too frequent fuel stops. At the rear, the new bolt-on subframe is exposed for the most part and it looks good and the new skimpy little tailpiece completes the rather aggressive design. We expect the additional equipment and technology to drive the KTM 390 Duke's price upwards a little bit. The outgoing model is priced at Rs 2.02 lakh ex-showroom. We expect the new KTM 390 Duke to be priced roughly Rs 25,000 higher. The 2017 RC390 shows that the KTM India can deploy ride-by-wire, for example, without significantly raising the price and we believe the KTM 390 Duke will remain one of the best performance for money deals on the market. The KTM 250 Duke was already being manufactured in India. The model came later in response to the need for a 250cc model for specific markets that offered concessions or tax breaks for 250cc motorcycles. But now, KTM India are shrewdly using that model to expand the Duke line-up. Our sources say the new KTM 250 Duke will feature the styling from the KTM 390 Duke down the very last bits except for the black alloy wheels and the black trellis frame. KTM India will cut a few features to allow the 250 Duke to be priced extremely well. In there are two elements that are obvious. First, the spy shots show a headlight shaped like the LED unit on the 390 Duke but we believe this will be a normal headlight with a halogen bulb that mimics the shape of the 390's LED unit. 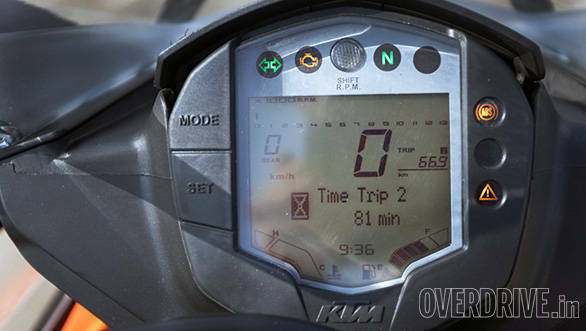 Similarly, the instrument cluster will be the same one that KTM uses in the 2017 RC series. That's the same one as the old Duke's but the information display layout has been tweaked slightly. 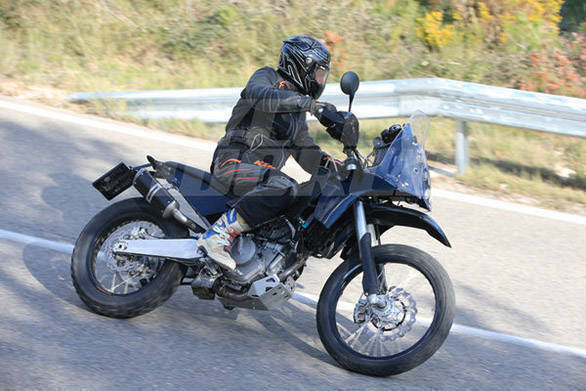 The KTM 250 Duke will wear that the Euro IV-style side-slung exhaust but not feature ride-by-wire. The 248.8cc engine will make about 30PS. Like the KTM 390 Duke, the 250 will also get a slipper clutch. The suspension on the 250 Duke will be similar to the 390 but the brakes will be 300mm units not the new 320mm units. We expect the the KTM 250 Duke to be priced extremely well. Our guess is Rs 1.7 lakh ex-showroom, roughly Rs 30,000 more than the KTM 200 Duke and Rs 50,000 below the new 390. We believe this is going to be an extremely popular KTM if our price assumptions come true. 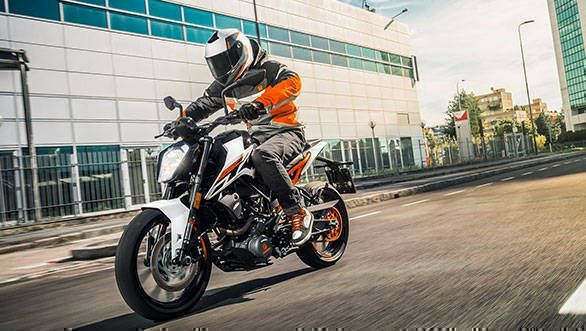 The new 2017 KTM 200 Duke is a surprise. The design sticks with the original Duke design but wraps the familiar panels in new stickers. Like with the RC200, KTM managed to get the 200cc engine to meet Euro IV and so the 200 Duke will not need the side-slung exhaust either. This should mean that the 25PS motorcycle maintains its weight. We believe KTM India will make this 200 Duke exclusively for the Indian market and ensure that the attractive entry point into the KTM India family is not disturbed. The current price is Rs 1.48 lakh ex-showroom and we would be surprised if KTM revises the price upwards significantly. We knew from the Milan show that the 2017 KTM 390 Duke was a significant move on the part of the Austrian manufacturer. The promise is of a more grown-up, more sophisticated motorcycle that maintains the stunning performance-price equation that KTM India is famous for. The arrival of the 250 Duke and the staying on of the 200 Duke allows KTM to move the brand slightly upwards while ensuring that customers have more options. 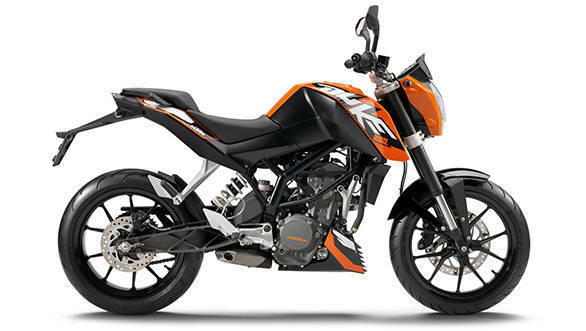 This should also allow a little more room for Bajaj who now co-develop products with the KTM platforms to position and price their, er, equivalent models. To us, the next product steps for KTM are now fairly obvious. We expect to see the all-new RC models that gain all of the mechanical upgrades these Dukes enjoy early in 2018 and towards the end of 2018, at the very earliest, we could catch a glimpse of the KTM 390 Adventure. As you know, KTM India has confirmed that the motorcycle - likely to have a significantly different frame - is now under development and is expected to debut as a 2019 model. Expect to see it in production form at the November European motorcycle shows. However, given the complexity of the project, we wouldn't be surprised if the 390 Adventure were slotted to debut as a 2020 model at the November 2019 shows. That's a long time ahead but good things come to those who wait. And in any case, the new KTM Dukes sound like they'll keep us busy, right? Tune in to OVERDRIVE on our Facebook and Twitter or here from 11am tomorrow as we cover the launch of the new KTMs from the event in Mumbai.